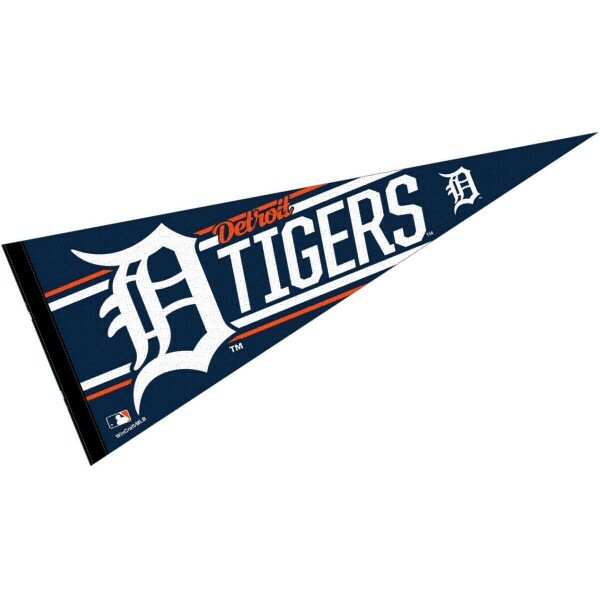 Our Detroit Tigers Pennant is perfect for showing your MLB Baseball allegiance in any room of the house, office or for decorating your next gameday party. 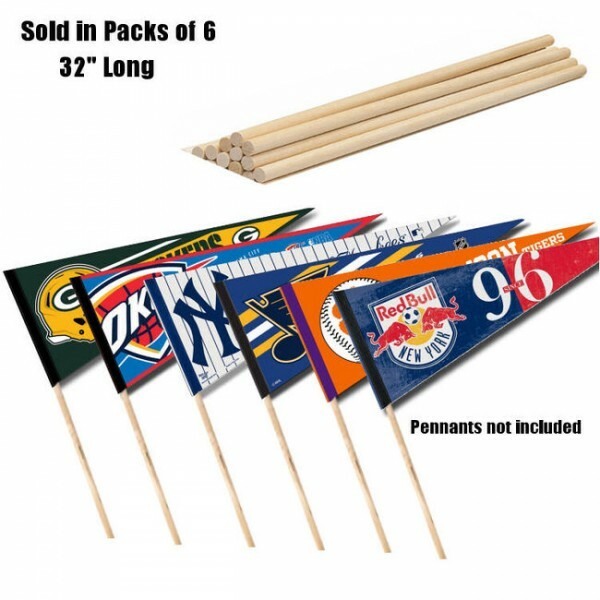 These pennants measure a full size (12 x 30 inches), are made of felt blends, offer one-sided screen printed logos, lettering, and insignias, and provide a sewn pennant stick sleeve. 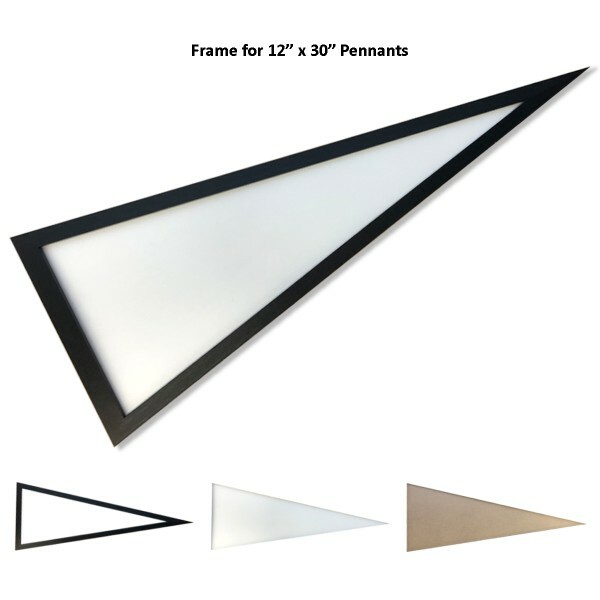 Accessorize this MLB and Detroit Tigers Genuine Merchandise pennant with our 6 Pack of Pennant Sticks, Pennant Frames or find one of your favorite Sports Team Pennant Sets.